Geoff Smith is Emeritus Professor in Applied Physics. He is renowned for contributions to science and technology in energy, coatings and nanotechnology and is a world leader in green nanotechnology. Based at UTS since 1973, his solar energy work started in 1974 after a PhD at Monash University and two years at the University of Sussex, UK. Professor Smith has spent periods on renewable energy projects at Chalmers University of Technology, and University of Uppsala Sweden, The University of Houston, Texas and Lawrence Berkeley Laboratory, California, USA. His group has worked with large and small corporations from Germany, USA, Japan, UK and Australia. He carried out the daylighting design and polymer roofing studies for Australia stadium - as seen in the 2000 Olympics. 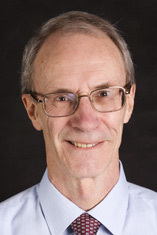 Contributions include over 200 refereed publications plus around 15 patents, including four on cooling technologies and a 2016 major invited review entitled "Nano-photonics enabled smart windows, buildings and wearables" in Nanophotonics His output encompasses, fundamental new optical physics of nanostructures, thin films, and thermal radiative loss and control, water radiative loss, pigmented materials and coatings interacting with solar and atmospheric radiation, applied physics of solar absorbers, passive cooling to temperatures well below ambient, solar control windows, roof glazing and skylights. Several products have flowed from his industrial collaborations. He has shown how nanostructures and microstructures inside materials and films, and on surfaces, can achieve the low cost/high performance goals in commodity scale products, which are urgently needed to combat global warming, while maintaining living standards and quality of life. He works with architects, engineers, paint companies and window and skylight manufacturers and suppliers. In 2015 his group published the first ever report of a roof material which stayed below ambient under the mid summer sun. Geoff 's energy and materials work has been recognised with a number of local and international awards including a PhD (honoris causa) from the University of Uppsala in Sweden. With Dr Gentle he was recognised in a New York International Awards night by The World Technology Network for the world's leading environmental technology advance in 2015. He has contributed to Australia's Energy Efficient Building Codes and chairs its skylight and roof glazing standards committee and has chaired international conferences in the USA . Professor Smith’s team is a world leader in technologies for saving energy, and mitigating global warming and its impacts. His research covers materials for use in solar energy and energy efficiency with emphasis on utilising nanostructures, thin films and special paints to optimally tune material responses to environmental energy flows (solar, thermal radiation from the atmosphere, and air flow) to achieve desired functions, which include human needs for thermal comfort, lighting and a view, and energy. He and his group of fellows and research students have been at the forefront of aspects of photonics and optics of thin films and composites, and special polymers. Several large well-known corporations, local and international, have collaborated in this work. This has led to a number of new products and changed practices and standards. His group utilises vacuum deposition systems, optical and electrical characterization equipment and associated software, and electron microscopy for imaging nanostructures. The theoretical links between optical responses and nanostructure and its applications is a group forte. A focuses exploration of the role nanotechnology plays in meeting the challenges inherent in minimizing environmental impacts while maximizing energy resources, this book provides an overview of our energy supply, increasing energy production while reducing cost, and offering novel energy sources. It explores the ways in which nanotechnologies can improve structural engineering of energy sources, create novel methods of cooling, and inspire new approaches to water supply and treatment. In addressing these critical issues, the book provides an authoritative resource that provides the foundation for new research and product development. Wilson, M., Kanangara, Raguse, B., Simmons, M. & Smith, G.B. 2002, Nanotechnology: Basic Science and Emerging Technologies, UNSW CRS Press. Non-ultraviolet (UV) photoexposure of luminescent solar concentrators (LSC's) can produce photoproducts that cause additional extinction at wavelengths somewhat longer than the main dye absorption peak. This photo-induced 'tails' extinction is deleterious to luminous output in collectors of useful lengths. An experimental method that enables the subdivision of tails extinction in an LSC into absorbed and scattered components is described. The relevant theory is outlined, and experimental results are presented for a polymethyl methacrylate (PMMA) LSC containing Lumogen F083 dye. For this sample, tails absorption increased significantly with outdoor exposure, while tails scattering remained constant. Further measurements indicate that LSC luminous output is around five times more sensitive to tails absorption than to fluorescence quenching. This work also indicates that merely checking for dye quenching, as is often done, can be a misleading indicator of long-term LSC output. The optical response of growing silver thin films undergoes a transition dominated by three distinct plasmonic modes, two localized and one delocalized. Their admix as a function of added mass is analysed. The onset of the delocalized or Drude mode occurs before the sharp electrical percolation transition so optically the full insulator-metal transition is broadened. A scaling explanation supported by images shows Ag islands only have to link up over 200-300 nm to yield partial delocalization. The localized modes are (i) from silver nano-islands and (ii) a transitional anomalous mode, peaking near the dc critical percolation point, from islands surrounded by network. Growing silver within a multilayer oxide stack is compared with that on glass. The transition in thermal emittance matches that in the delocalized mode. Its broadening enables practical tuning of intermediate emittance by varying mass. Smith, GB 2011, 'Commentary: Environmental nanophotonics and energy (vol 5, 050301, 2011)', JOURNAL OF NANOPHOTONICS, vol. 5. Anomalous strong resonances in silver and gold nanoporous thin films which conduct are found to arise from isolated metal nano-islands separated from the surrounding percolating metal network by a thin loop of insulator. This observed resonant optical response is modelled. The observed peak position is in agreement with the observed average dimensions of the silver core and insulator shell. As the insulating ring thickness shrinks, the resonance moves to longer wavelengths and strengthens. This structure is the Babinet's principle counterpart of dielectric core-metal shell nanoparticles embedded in dielectric. Like for the latter, tuning of resonant absorption is possible, but here the matrix reflects rather than transmits, and tuning to longer wavelengths is more practical. A new class of metal mirror occurring as a single thin layer is identified using the same resonances in dense metal mirrors. Narrow band deep localized dips in reflectance result. © 2010 IOP Publishing Ltd. The photodegradation rate of a perylene dye (Lumogen F Yellow 083) in methyl isobutyrate was found to increase with ketone concentration for two different ketones. Of the ketones employed, methyl pyruvate, an impurity in methyl methacrylate, was found to be particularly deleterious to dye stability. In agreement with other published studies, the addition of the anti-oxidant DABCO (1,4-diazabicyclo-[2.2.2] octane) to the dye matrix was found to increase dye stability; however when ketones were present, DABCO lead to increased photodegradation. These results highlight the importance of removing ketone impurities from dye matrices during production of Luminescent Solar Concentrators (LSCs). Anomalous strong resonances in silver and gold nanoporous thin films which conduct are found to arise from isolated metal nano-islands separated from the surrounding percolating metal network by a thin loop of insulator. This observed resonant optical response is modelled. The observed peak position is in agreement with the observed average dimensions of the silver core and insulator shell. As the insulating ring thickness shrinks, the resonance moves to longer wavelengths and strengthens. This structure is the Babinet's principle counterpart of dielectric coremetal shell nanoparticles embedded in dielectric. Like for the latter, tuning of resonant absorption is possible, but here the matrix reflects rather than transmits, and tuning to longer wavelengths is more practical. A new class of metal mirror occurring as a single thin layer is identified using the same resonances in dense metal mirrors. Narrow band deep localized dips in reflectance result. Nanostructured thin films (NSTF) are providing enormous scope for advances in optical, electronic and optoelectronic engineering and underpinning key developments in nanoscience. From a scientific perspective they embody numerous challenges and opportunities: covering concepts, models, growth, structure and characterization. Emerging technologies which depend on NSTF include photonics and plasmonics for information processing and communications; semiconductor and molecular electronics; display and lighting; single molecule bio-sensing, proteomics, advanced medical therapies, diagnostics and imaging; large scale, low cost approaches to energy efficiency, renewable energy and energy storage; and material surfaces which are durable, self-repair, self-clean, and have the ability to sense, change color, and to modulate reflectance, transmittance or thermal emittance. Net thermal radiation cooling, from surfaces at sub-ambient temperatures, to the night sky is amplified if the aperture to the sky is partially blocked with heat mirrors. The temperature at which radiation loss stagnates (the effective sky temperature) falls continuously as the aperture closes and is derived in terms of the aperture size and the spectral properties and temperatures of the atmosphere and of the emitting surface. Cooling surfaces must have high absorptance between 7.9 mu m and 13 mu m where the atmosphere is most transparent. The best response for the remainder of the Planck radiation spectrum surprisingly switches between two spectral extremes at a temperature which falls as the aperture gets smaller. A perfect absorber is best above this switch, while surfaces which reflect all of this radiation are best below it. A simple formula is presented for the cross-over temperature as a function of aperture size. With known material properties plus representative non-radiative heat gains a high emittance surface is generally better except when heat mirrors are not used. A known high emittance roof paint at 10 degrees C below ambient, under a 45 degrees aperture lined with shiny aluminium, can achieve a net output power near 135W m(-2) under a clear sky. Vanadium dioxide (VO2) undergoes a reversible metal-insulator transition, normally at similar to 68 degrees C. While the properties of continuous semi-transparent coatings of VO2 are well known, there is far less information available concerning the potential use of discrete VO2 nanoparticles as a thermochromic pigment in opaque coatings. Individual VO2 nanoparticles undergo a localized plasmon resonance with near-infrared light at about 1100 nm and this resonance can be switched on and off by simply varying the temperature of the system. Therefore, incorporation of VO2 nanoparticles into a coating system imbues the coating with the ability to self-adaptively modulate its own absorptive efficiency in the near-infrared. Here we examine the magnitude and control of this phenomenon. Prototype coatings are described, made using VO2 powder produced by an improved process. The materials are characterized using calorimetry, x-ray diffraction, high-resolution scanning electron microscopy, transmission electron microscopy, and by measurement of optical properties. The transmittance and irradiance distribution at the exit aperture of a cylindrical mirror light pipe (MLP) have been measured and calculated for the cases of collimated and diffuse inputs. MLPs are an example of a nonimaging optical system that can concentrate light, which may give rise to problematic hotspots and glare either on any diffuser used at the exit aperture or in the illuminated room. It is shown in this work that use of a diffuser at the entrance aperture overcomes these problems without a marked reduction in transmission of a typical MLP. A general Monte Carlo ray-tracing method for light guides with particles randomly dispersed in a matrix is presentedd. Previous ray-tracing approaches have been designed for undoped cylindrical light guides, where a propagating ray is deviated bu total internal reflection only. These geometrical principles are extended and further developed into a method of ra-tracing suitable for particle-doped systems. Redefining ray direction after deviation by a particle, obtaining ray/wall intercept points and angles, and calculation of ray reflection angles from a cylindrical surface are described. Simulations of light from a source LED traced through TRIMM-doped (Transparent Refractive Index Matched Micro-Particle) polymethyl methacrylate (PMMA) light guides have been performed. Distributions of the light exiting the walls of two concentrations of TRIMM-doped lgith guides are given, as an exampled of an application of the described ray-tracing method. Spectral selectivity based on tuning the surface plasmon resonance in metallic nanoshells by variation of the relative shell thickness is shown to be limited by the interplay between scattering and absorption. To achieve resonance energies in the near infrared and infrared, relatively large cores are needed, which lead to strong and broad scattering bands and multipolar contributions in the visible. The surfaces of nanoscale gold particles and components are oxide-free under normal ambient conditions. This unusual attribute permits the exploration of microstructures and functionalities that would not be feasible for less noble metals. Here we consider the electrochemical properties of mesoporous gold sponges, prepared by de-alloying an AuAl2_precursor. The sponges have a high specific surface area, with an average pore diameter of 12_nm, but are prone to sinter. They may be prepared in bulk, or, more usefully, as coatings. Their electrochemical capacitance divided by their nominal surface area is high and, at a cell voltage of 0.6_V, reaches 100_mF/cm2 for bulk samples and 2_mF/cm2 for coatings. This is up to a thousand times greater than the 50_to 100_?F/cm2 exhibited by a planar gold surface. This paper demonstrates patterns in the multiple scattering behavior of three test cases, of which one is verified experimentally. Mie scattering patterns are known to emerge when the scattering angle is plotted versus the dimensionless parameter qR, where q is the scattering wave vector for a single particle, and R is the radius of the scattering particle. The power-law behavior of single scattering is modified, but not completely destroyed, when translated to multiple scattering situations. The predicted behavior is seen in translucent sheets, where transparent refractive index matched micro (TRIMM) particles scatter light, a case which is ideal to model with Mie scattering. The output colour distributions from red, green and blue (RGB) LEDs mixed with cross linked PMMA micro particle doped PMMA mixing rods is compared to output from a plain PMMA mixing rod. Distinctive patterns with clear colour separation result with the undoped rod. These are homogenised by our mixers, resulting in white light. Light output has been photographed, measured and computer simulated at a distance of 10 cm from the output end of the rods. Light scattering plays a prominent role in a wide range of energy-efficient materials and solar applications. Some examples are materials for daylighting, diffusely reflecting sunscreens, foils for radiative cooling and nanocrystalline solar cells. Measurements of the angular profile of light scattering are very useful for obtaining a detailed characterization of the light scattering mechanisms. We review recent theoretical results on the forward and backward light scattering profiles. Forward scattering is of major importance for novel pigmented polymeric daylighting materials. Measurements of scattering profiles are in good agreement with Mie theory. Backscattering profiles from highly diffusely reflecting paints containing titanium oxide-based pigments have also been measured. It seems that scattering from the paint surface dominates at low pigment volume fractions. Results for paints with high pigment volume fractions are interpreted in terms of coherent backscattering effects from the pigment particles. Window samples with a LaB6 nanoparticle-doped polymer laminate were tested for their performances in the reduction of solar heat gain. The near-infrared absorption, caused by the excitation of surface plasmons, was modeled using an average ellipsoid approach, including a size-induced broadening of the Drude part of the dielectric function. The resonance positions are well reproduced by this method and the size effect broadens the bulk resonance to an extent observed in the sample spectra. Additional broadening and spectral features observed in the absorption of the samples are attributed to shape and orientation effects. Coupled multipolar interactions between spherical nanoparticles coated with metal nanoshells are shown to yield very different optical behaviour to those between all metal nanoparticles in the same configurations. Controlled spectral tuning of absorption bands in metal shell nano-systems is shown to be easier than with all metal particles because strong localised fields between particles and the associated high order multipoles are much weaker. In the touching limit differences in field distributions mean that whereas all metal clusters are far from convergent when 300 pole-terms are included in the calculation, the metal nanoshells give full convergence after less than 10 poles, even for metal volume fractions over 50%. Extinction bands are also far less sensitive to particle spacing in the shell case. The quasi-static absorption response, at optical and infrared frequencies, of an infinite chain of circular metal cylinders has been modelled in a new way for arbitrarily small separations between the particles. A number of novel features are predicted. The daylighting of small interior rooms via skylight and vertical light pipe may be enhanced by deflecting low-elevation light more directly through the light pipe using laser-cut light deflecting panels. Theoretical expressions for light transmission versus elevation through simple light pipes and light pipes coupled to laser-cut panels are developed and compared with measurements using a commercial light pipe. Predictions of hourly illumination levels in typical rooms are obtained. The agreement of theory and experiment justifies extrapolation to very long light pipes, the results of which suggest that light pipes coupled with deflecting panels should be effective in daylighting through several stories of a building. © 1995, SAGE Publications. All rights reserved. Smith, G, Bell, J, Savvides, N, Filipczuk, S & Andrikidis, C 1989, 'Field Enhanced Intrinsic Fluctuations In Highly Oriented High-tc Thin-films', Australian Journal Of Physics, vol. 42, no. 4, pp. 431-438. MBISE, G, SMITH, GB, NIKLASSON, GA & GRANQVIST, CG 1989, 'ANGULAR SELECTIVE WINDOW COATINGS - THEORY AND EXPERIMENT', OPTICAL MATERIALS TECHNOLOGY FOR ENERGY EFFICIENCY AND SOLAR ENERGY CONVERSION VIII, vol. 1149, pp. 179-199. MR techniques for producing flow related images of vessels are generally grouped into two categories: (1) wash-out methods and (2) phase-encoding methods. Wash-out images of arterial flow generally utilize rapid imaging to produce flow related enhancement. Phase-encoding methods rely upon the effects of phase shifts resulting from motion along a field gradient to produce flow dependent signal differences. We present the results of experiments which utilized the phase-encoding technique to produce flow images in dogs and normal volunteers. © 1987 SPIE. Smith, G., Derrick, G. & McPhedran, R.C. 1985, 'A Rigorous Diffraction Theory For The Optical-properties Of Black Chrome', Applied Surface Science, vol. 0, no. MAY, pp. 813-819. McKenzie, D.R. & Smith, G. 1985, 'Amorphous-silicon Solar-cells Produced By A Dc Magnetron Glow-discharge Technique', Applied Surface Science, vol. 0, no. MAY, pp. 891-898. Sie, S., McKenzie, D.R. & Smith, G. 1985, 'Profiling Of Hydrogen In A-si-h By The H(f-19,alpha-gamma)o-16star Reaction', Applied Surface Science, vol. 0, no. MAY, pp. 908-915. The production of amorphous silicon solar cells using deposition from a DC magnetron glow discharge is described. The cells have the p-i-n structure with indium tin oxide front contacts. Fill factors of 40% and overall solar efficiencies of around 1.2% were obtained. Investigations were carried out to determine the reasons for deficiencies in the carrier collection efficiency. The cell efficiency was increased by increasing the product of the i-layer. The spectral dependences of carrier collection efficiency, open circuit voltage and fill factors were determined. Comparison with published theoretical models of similar cells showed that for the best cells, surface recombination effects limited the efficiency. Argon used in the p-layer deposition was the most likely cause of these effects. © 1985. Quantitative three-dimensional studies of morphology together with analysis of validity of quasistatic effective medium theories show the need for a diffraction treatment of the optical properties of solar selective black chrome. The spectral absorptance A() is calculated for a doubly periodic modulation of chrome overcoated with Cr2O3 or a cermet of Cr2O3 and Cr metal. Various profiles, depths and coating thicknesses are used. Diffraction caused by the surface morphology explains the major features of A() for black chrome. Internal structure is of secondary importance. © 1985. When nigro-striatal and meso-cortical neurons degenerate there is a loss of dopamine in the terminal fields and an accumulation of amines in the axons of these systems as they traverse the hypothalamus through the medial forebrain bundle. Traditional lines of thought have attributed the occurrence of motor and consummatory deficits which occur after dopamine neuron degeneration to the loss of functional dopamine neurotransmitter in the terminal fields. However we have hypothesized that hypothalamic amine accumulation represents an area of brain tissue where processes such as neurotransmitter release ephaptic transmission or local axon swelling may be affecting adjacent neurons and may thereby participate in the production of behavioural deficits. There is a considerable amount of evidence from studies on both peripheral and central catecholamine-containing neurons indicating that when their axons degenerate a release of functional neurotransmitter can occur. Information from neuropharmacological studies indicates that several drugs which facilitate behavioural recovery from dopamine-depleting lesions may do so by affecting amine release or receptor sensitivity near areas of accumulation rather than depleted terminal fields. We conclude that amine accumulation is a component of dopamine neuron degeneration which should be considered when assessing the role of the central catecholamine systems in the control of various behavioural and physiological processes. © 1985. Sie, SH, McKenzie, DR & Smith, GB 1985, 'Profiling of hydrogen in a-Si:H by the H(19F, )16O* reaction', Applied Surface Science, vol. 22-23, no. PART 2, pp. 908-915. The resonant reaction H(19F, )16O*was used to study the hydrogen content and distribution with depth in a-Si: H films. The films were prepared in a DC magnetron by glow discharge decomposition of silane at a pressure of 1 Pa. The results showed that a surface hydrogen peak was present for a film prepared at 310°C but disappeared when the films were prepared at 370°C. The total hydrogen content was one half of that calculated using infrared absorption spectroscopy. RBS was used to determine the film density and scanning electron microscopy was used to investigate microstructure. © 1985. A Wolter type I X-ray telescope, intended both for astronomical observations and to serve as a prototype module for the Large Area Modular Array of Reflectors (LAMAR) mission, is now in definition study under NASA's Spacelab program. The 5 mirror telescope presently being designed is to have a, blur circle radius of 20 arc sec rd an effective area of about 400 cm at 1/4 keV, 200 cm4 in the 0.5–2 keV range and 50 cm between 2 and 5 keV. Future expansion to a full 10 mirror telescope will approximately double these effective areas. A rotary interchange mechanism will allow either of two imaging proportional counters (IPCs) to be placed at the telescope focus; one operating between 0.15 and 2 keV and the other optimized for the 0.6 – 6 keV energy range. During flight, the telescope will utilize an instrument pointing system for a series of observations lasting from 6 minutes to several hours. This investigation has dual objectives: The primary objective is scientific and involves observational study of galactic and extragalactic X-ray sources, extending the work of the Einstein Observatory to much fainter sources and to higher energies. The second objective is to provide an assessment of the cost and improved performance of utilizing Wolter Type I X-ray optics for the LAMAR mission and to extend the technology for producing these optics to still higher angular resolution and toward lower cost. © 1982 SPIE. SMITH, GB & SABINE, TM 1978, 'COATINGS AND COVER PLATES FOR EFFICIENT SOLAR-ENERGY COLLECTION', JOURNAL OF THE AUSTRALASIAN CERAMIC SOCIETY, vol. 14, no. 1, pp. 4-8. Cortie, MB, Stokes, NL, Heness, GL & Smith, G 2014, 'Applications of Nanotechnology in the Building Industry' in David Rickerby (ed), Nanotechnology for Sustainable Manufacturing, CRC Press, USA. Smith, G 2011, 'Combining energy efficiency with aesthetic appeal using advanced optical materials' in Advances in Laser and Optics Research, pp. 39-72. Energy efficiency in interior spaces concerns supply of lighting needs and maximising thermal comfort, with minimum use of electrical power fom the grid and of fossil fuels. It is relevant to all classes of buildings. and also. to transport. The world is faced with two apparently conflicting demands right now. A rapid growth in demand for better living standards and lifestyles, and an urgent need to cut greenhollse gas emissions. If this "conflict" can be eliminated or softened. then the process of scaling back our negative impact on the environment will accelerate. If it cannot, all living standards are at risk in the long term. Such a changeover, in common with past technology driven shifts in human activity, will also generate wide ranging opportunities tor economic growth in all regions of the world. There is much new science needed to optimise these technologies. and optics is playing a central role. Examples of two science based systems for better use of natural lighting are in fig. I.
Schelm, S & Smith, GB 2007, 'Self assembled gold nanoparticles with organic linkers' in Nanotechnology in Biology and Medicine, CRC Press. Smith, G 2003, 'Nanostructured Thin Films' in Wieglhofer, WS & Lakhtakia, A (eds), Introduction to Complex Mediums for Optics and Electromagnetics, International Society for Optical Engineering, Washington, USA, pp. 421-446. Luminescent solar concentrators have been studied and improved for over 30 years. Nanotechnology, in particular nanophotonics, is proving essential to achieving green outcomes of sustainability and renewable energy at the scales needed. Coatings, composites and polymeric structures used in windows, roof and wall coatings, energy storage, insulation and other components in energy efficient buildings will increasingly involve nanostructure, as will solar cells. Nanostructures have the potential to revolutionize thermoelectric power and may one day provide efficient refrigerant free cooling. Nanomaterials enable optimization of optical, opto-electrical and thermal responses to this urgent task. Optical harmonization of material responses to environmental energy flows involves (i) large changes in spectral response over limited wavelength bands (ii) tailoring to environmental dynamics. The latter includes engineering angle of incidence dependencies and switchable (or chromogenic) responses. Nanomaterials can be made at sufficient scale and low enough cost to be both economic and to have a high impact on a short time scale. Issues to be addressed include human safety and property changes induced during manufacture, handling and outdoor use. Unexpected bonuses have arisen in this work, for example the savings and environmental benefits of cool roofs extend beyond the more obvious benefit of reduced heat flows from the roof into the building. The grating-mirror geometry is a particularly rich plasmonic system due to the coupling of localized and global modes, and it is applicable to negative index materials, plasmonic imaging, and spectral filters. Recently absorption in sub-percolative films was found to be greatly enhanced by the addition of a mirror - a situation that is also reasonably modeled by a grating-mirror geometry. A great deal of attention has been focused on the coupling of barely-sub-wavelength periodic grating modes to surface plasmon polaritons that exhibit sharp spectral features. In contrast, island films have only quasi-periodicity at a few tens of nanometers, and produce broader spectral features, suggesting the influence of localized surface plasmons. In this work we examine how absorption is affected by variations in geometry of grating-mirror systems, to identify basic physics for future investigations of particle-mirror systems. Coatings that can self-modulate their optical properties as a function of an external stimulus are of significant technological interest. In this regard, the possibilities for thermo- or electrochromic materials such as VO2 and WO3 are already comparatively well-known. Here, however, we explore a new kind of 'smart' coating, based on the active control of a plasmon resonance in nanoparticles. One possible system is based on the modulation of the plasmon resonance of a precious metal nanorod or nanosphere by an active dielectric shell. The active dielectric undergoes an insulator-to-metal transition on increase of temperature which modulates the plasmon resonance of the underlying precious metal nanoparticle, thereby changing the wavelength at which its optical extinction is maximum. In the case of nanorods, the absorption maximum of the longitudinal plasmon is particularly sensitive to the aspect ratio of the nanoparticle and the dielectric properties of the environment, and may be readily tuned across the visible and near-infrared portions of the spectrum. In addition, nanoparticles of certain thermochromic dielectrics, such as VO2, are expected to have a plasmon resonance of their own which can be switched on or off by control of the temperature. We consider some of the possibilities, using both the discrete dipole approximation and the exact analytical solution due to Mie to calculate the optical properties. Cortie, M, Maaroof, A & Smith, GB 2006, 'Functional metamaterials based on mesoscale gold sponges, particulate aggregates, and their composites with dielectric materials', Materials Research Society Symposium Proceedings, pp. 25-30. The optical properties of some nanoscale composites may deviate from that expected from a simple law of mixture of their individual components. In these cases the resulting structure can be considered to be a type of 'metamateriar. Here we explore some of the possibilities for nanoscale composite structures comprised of gold and VO2 - the latter being a functional material that undergoes a reversible insulator to metallic phase transition at 68°C. Two microstructures are examined: aggregates of gold nanoparticles surrounded by VO2 as the continuous phase, and its geometric inverse, mesoporous gold sponge with discontinuous VO2 inclusions. A composite, right-angled parallelepiped measuring 40×100×100 nm is taken as representative of the mixture, and calculations of the optical properties performed using the discrete dipóle approximation code of Draine and Flatau. The VO2 matrix strongly attenuates the dipole-dipole plasmon resonance of the gold structure, and thermochromic switching of the remaining plasmon resonance occurs. © 2007 Materials Research Society. Very thin spongy nanoporous gold films have a unique nanostructure and hence unusual properties. Our interest in these materials is also due to their wide range of potential application (1,2). An optical study for such nanostructured films is of fundamental interest for understanding how light interacts with such a spongy nanoporous structure. In general the gold either percolates or is very closely packed. This surface plasmons, and surface plasmon resonant effects, are expected to play a key role given the large surface area of metal and the metal backbone of the nanostructure. The ropological complexity of the nano-void network is also expected to be a major influence. The optical response has, for a metal system, quite unusual dispersion relations for the effective complex refractive index components n*, k*. Once these are better understood new optical engineering possibilities arise. We are not aware of any optical studies for spongy metal film nanostructures apart from a brief preliminary report of our own on one such film 93) whose nanstructure was different to the spongy nanoporous films presented here. We check the internal consistency and physical accpetability of the results with a Kramers-Kronig analysis of the spectrumn of n*, k* values, because of their unusual spectral character. The homogeneous optical response in conducting nanostructured layers, and in insulating layers containing dense arrays of self assembled conducting nanoparticles separated by organic linkers, is examined experimentally through their effective complex indices (n*, k*). Classical effective medium models, modified to account for the 3-phase nanostructure, are shown to explain (n*, k*) in dense particulate systems but not inhomogeneous layers with macroscopic conductance for which a different approach to homogenisation is discussed. (n*, k*) data on thin granular metal films, thin mesoporous gold, and on thin metal layers containing ordered arrays of voids, is linked to properties of the surface plasmon states which span the nanostructured film. Coupling between evanescent waves at either surface counterbalanced by electron scattering losses must be considered. Virtual bound states for resonant photons result, with the associated transit delay leading to a large rise in n* in many nanostructures. Overcoating n-Ag with alumina is shown to alter (n*, k*) through its impact on the SP coupling. In contrast to classical optical homogenisation, effective indices depend on film thickness. Supporting high resolution SEM images are presented. When a beam of light is incident on a translucent sample, a significant fraction of the light is scattered at high angles. Some of this scattered light may be trapped inside the substrate through multiple reflections and total internal reflection, similar to light coupling into an optical fiber. The trapping depends on factors such as the surface roughness of the external surfaces and/or the size and distribution of scattering particles inside the sample. The scattered light may thus escape out of the sample at a shifted position relative to the incident beam. This leads to port losses in an integrating sphere. The detected signal from the light entering the sphere then underestimates the hemispherical transmittance. In this paper the signal versus lateral position has been measured in an attempt to estimate the error and to find an extrapolation procedure for the correct transmittance value. The lateral measurements were carried out by moving a detector behind the sample, a procedure carried out at several angles of incidence. Different illumination methods have also been studied both theoretically and experimentally to further investigate what effect light trapping can have when characterising scattering samples. Tomkin, DF, Muir, JG, Cortie, MB, Masens, C & Smith, G 2003, 'The Nanohouse- Australian initiative to develop the home of the future', Nanotechnology, Nanotechnology, Nanotechnology, Scotland. Smith, G 2002, 'Nanostructured thin films - a critical review', Proceedings of SPIE: Complex Mediums III: Beyond Linear Isotropic Dielectrics, Complex Mediums III : Beyond Linear Isotropic Dielectrics, SPIE, Seattle, USA, pp. 207-221. Smith, GB, Green, DC, McCredie, G, Hossain, M, Swift, PD & Luther, MB 1999, 'Optical characterisation of materials and systems for daylighting', RENEWABLE ENERGY: TECHNOLOGIES & POLICIES FOR SUSTAINABLE DEVELOPMENT, pp. 97-100. Smith, GB, Ben-David, A & Swift, PD 1999, 'A new type of TiN coating combining broad band visible transparency and solar control', RENEWABLE ENERGY: TECHNOLOGIES & POLICIES FOR SUSTAINABLE DEVELOPMENT, pp. 93-96. Xue, YL, Smith, GB & Baker, AT 1996, 'Collective effects, nonlinear response and critical switching intensity in densely doped composite materials', FIBER OPTIC COMPONENTS AND OPTICAL COMMUNICATION, Conference on Fiber Optic Components and Optical Communication, SPIE - INT SOC OPTICAL ENGINEERING, BEIJING, PEOPLES R CHINA, pp. 296-307. SMITH, GB, DLIGATCH, S & NG, MW 1995, 'Low emittance angular selective window systems', OPTICAL MATERIALS TECHNOLOGY FOR ENERGY EFFICIENCY AND SOLAR ENERGY CONVERSION XIV, Conference on Optical Materials Technology for Energy Efficiency and Solar Energy Conversion XIV, SPIE - INT SOC OPTICAL ENGINEERING, SAN DIEGO, CA, pp. 317-325. SMITH, GB 1992, 'RECENT MATERIALS DEVELOPMENTS FOR ENERGY EFFICIENCY AND DESIGN FLEXIBILITY', RENEWABLE ENERGY : TECHNOLOGY AND THE ENVIRONMENT, VOLS 1-5, pp. 156-163. SMITH, GB, BELL, JM, FILIPCZUK, SW, ANDRIKIDIS, C & MULLER, KH 1990, 'TRANSPORT-PROPERTIES OF HIGH-TEMPERATURE SUPERCONDUCTING THIN-FILMS IN LARGE MAGNETIC-FIELDS', SCIENCE AND TECHNOLOGY OF THIN FILM SUPERCONDUCTORS 2, pp. 527-534. Very thin gold layers were produced on glass by evaporation with and without simultaneous ion bombardment. Electron microscopy showed that films with thicknesses below a certain magnitude which decreased with increasing ion flux had a non-uniform (network) structure. Optical properties were measured by spectrophotometry in the 0.3-50-ym range. Uniform films were consistent with the Drude theory with an anomalously large frequency dependence of the relaxation energy. Non-uniform films displayed characteristic plateaus in the near-infrared transmittance. This feature, which is conducive to high solar transmittance, can be explained from effective medium theories based on the film structure. Our results are important for the development of improved noble-metal-based infrared-reflectors * for energy efficient windows. © 1985 SPIE. Smith, GB, Hillery, P & Teytz, K 1984, 'ABSORBER COATINGS FOR CONCENTRATING COLLECTORS. ', pp. 1914-1918. IGNATIEV, A, ZAJAC, G & SMITH, GB 1982, 'SOLAR-ABSORBER MATERIAL STABILITY UNDER HIGH SOLAR FLUX', PROCEEDINGS OF THE SOCIETY OF PHOTO-OPTICAL INSTRUMENTATION ENGINEERS, pp. 170-175.